The following is a guest blog post written by Neil Canavan. He is author of the recently released book about immunotherapy, A Cure Within: Scientists Unleashing the Immune System to Kill Cancer. Immunotherapy for cancer works. Patients with certain types of advanced cancer that were, in the short-term, invariable fatal now have a fighting chance to enjoy years of extended survival — and some will even be cured. Medical science has never seen anything like it — not for the treatment of cancer — and not, in the wider clinical context, since the advent of antibiotics, has the field of medicine seen such remarkable improvements in the standard of care for life-threatening illnesses. From the survival data that led to the first-ever approval of a cancer immunotherapy agent, the “checkpoint” inhibitor, Yervoy, in March of 2011, to the remission rates seen with the so-called CAR-T cell drug, Kymriah, the first-ever-approved gene therapy drug, in August of 2017, the gains in patient outcomes seen with cancer immunotherapy (IO) have been dazzling — truly, without precedent. a book, and of course, Wall Street has taken serious note of this new suite of immunologic technologies. Nevertheless, there remain many doubters, and rightly so. What dazzles can just as well deceive. Just consider the history of immunotherapy — it was on the cover of Newsweek in 1984: “A Search for a Cure” featuring a photo of the NIH-based, IO pioneer, Steve Rosenberg. It was a watershed moment. But then, the cure didn’t happen. Platforms came and went. Companies came and went. Investors turned their attention elsewhere. So why is IO a good investment now? How can anyone with any confidence say that the latest IO iteration is not just another overpriced, overwrought, over-marketed bottle rocket set to blaze fiercely across the heavens? I, for one, am confident because I’ve seen it all before. I’ve been in medical/science journalism for about 20 years now, and I’ve seen scores of “forward looking statements”, and p values that are “trending towards significance” and sub-group analysis that are so sub-grouped as to render the appropriate patient population as being less than 7 individuals on the entire planet. I have seen data so deformed by instruments of analytical torture that the number “four” actually did wind up looking pretty much like a five. I have heard a lot of hyperbole, and I’ve seen a lot of rubbish. It’s not all for naught, of course. The blockbuster drug Gleevec, a tyrosine kinase inhibitor (TKI) was a big deal when it came out; it was a game changer, a homerun if ever there was. However, the realignment of dollars and research programs that quickly followed Gleevec’s approval in 2001 proved unwarranted. It turned out that the generalized targeting of tyrosine kinases, though mechanistically sound, produced no other drug with the umph to rival Gleevec – some highly effective, and profitable TKIs were developed (and this work is ongoing) but many more programs produced also-rans, and not a one of them, even the best of the bunch, is touted as being curative. And again, Avastin is not, and will never be on its own, curative. What is IO? In a nutshell: cancer immunotherapy leverages the patient’s immune system to attack their tumors; this is accomplished with a suite of technologies that either a) dictate a de novo immune response, or b) enhance an immune response that exists already, or c) do some measure of both. Finally, there are IO investigators themselves — a surprisingly small group of profoundly intelligent men and women — most of whom struggled for years to get their cancer colleagues to believe in anything they had to say. For instance, the concept of CAR-T cells was called, “a really dumb idea” (by premier gene-jockey, Richard Milligan, no less); the idea to use adjuvants in cancer vaccines was dismissed with the comment, “Why don’t you just inject dirt?” Funding was scant. Recognition was near zero. Were it not for the brilliance, and commitment to the cause by these extraordinary individuals the potential of IO would have languished for years, or been lost altogether. And keep in mind, these folks are no pushovers — they have decades of training in how to shoot holes in the data, the experimental designs or the proposed platform. These people are skeptical for a living. Yet, to a person they humbly acknowledge that this is more than they could have hoped for – yes, they all had faith that IO would eventually work — but not like this. This is something they have never seen before. However, IO investigators take great pains to point out that there is still a long way to go before the majority of patients benefit. Regarding checkpoint inhibitors, fewer than 40% of patients respond, and the mechanism of late relapse (after years of remission) remains a puzzle. Adverse events can also be quite serious. There is also the issue of “cold tumors” — lesions of the kind that the immune system just cannot see. Regarding CAR-T cells, finding discrete targets on tumor cells (and not healthy cells) is a major issue for future development. That said, for every observed therapeutic impediment there is a workaround under investigation. Novel checkpoint inhibitors are already in clinical trials that may overcome resistance to current agents; combination trials with IO agents are being vetted for scientific validity (there can be no more throwing of the therapeutic dice — precise mechanisms must be known); cold tumors are, in various ways, in the process of being warmed up; and new targets for CAR-T cells are being proposed, as is the idea of having “universal donor” CAR-T cells. 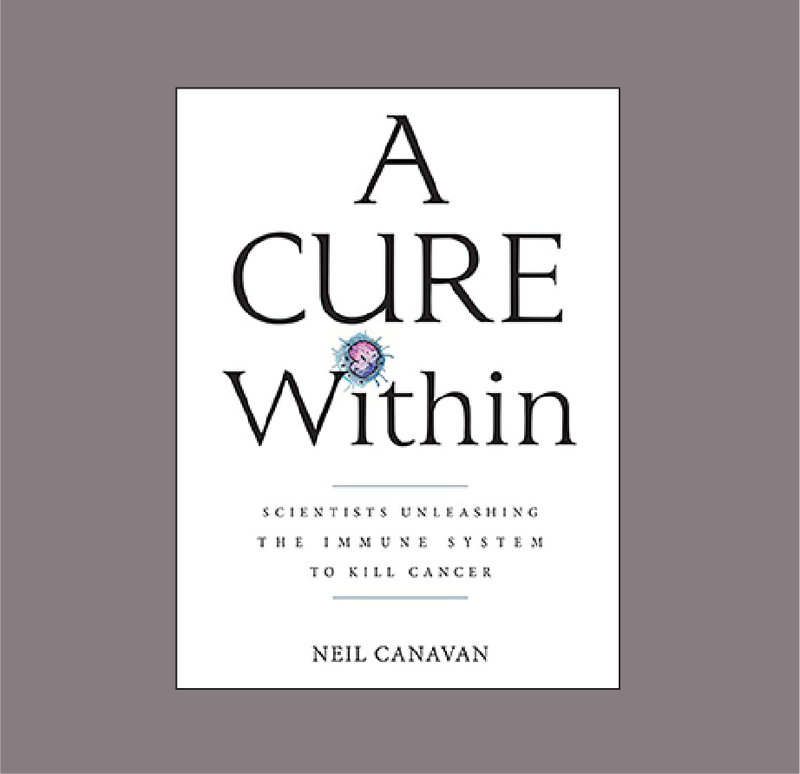 For these words, and many others, as spoken by 25 of the top investigators in the cancer immunotherapy field see: A Cure Within: Scientist Unleashing the Immune System to Kill Cancer, by Neil Canavan, published by Cold Spring Harbor Laboratory Press. Available on Amazon.